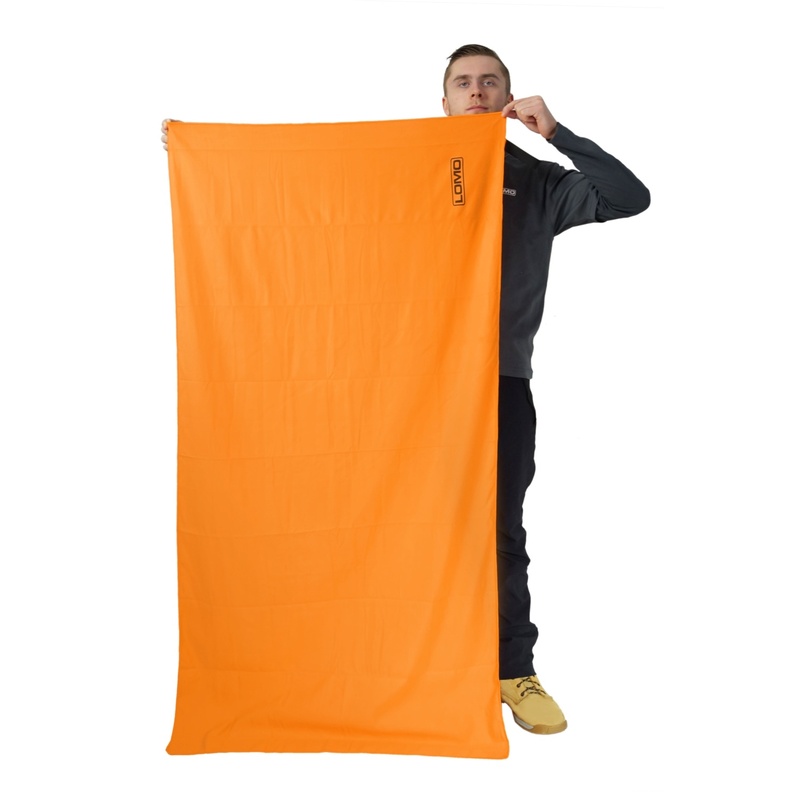 The large size of this microfibre camping towel means it's big enough to dry an adult from head to toe after a shower or dip in the water. 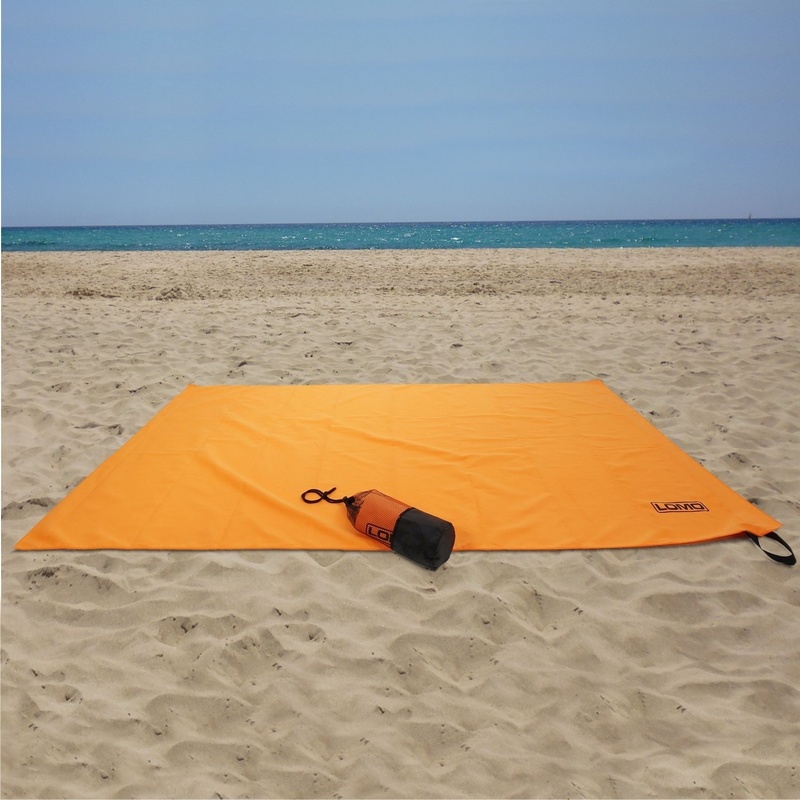 The microfibre construction means that its much light in weight and smaller in size than a regular cotton bath towel of a similar size and drying capacity. 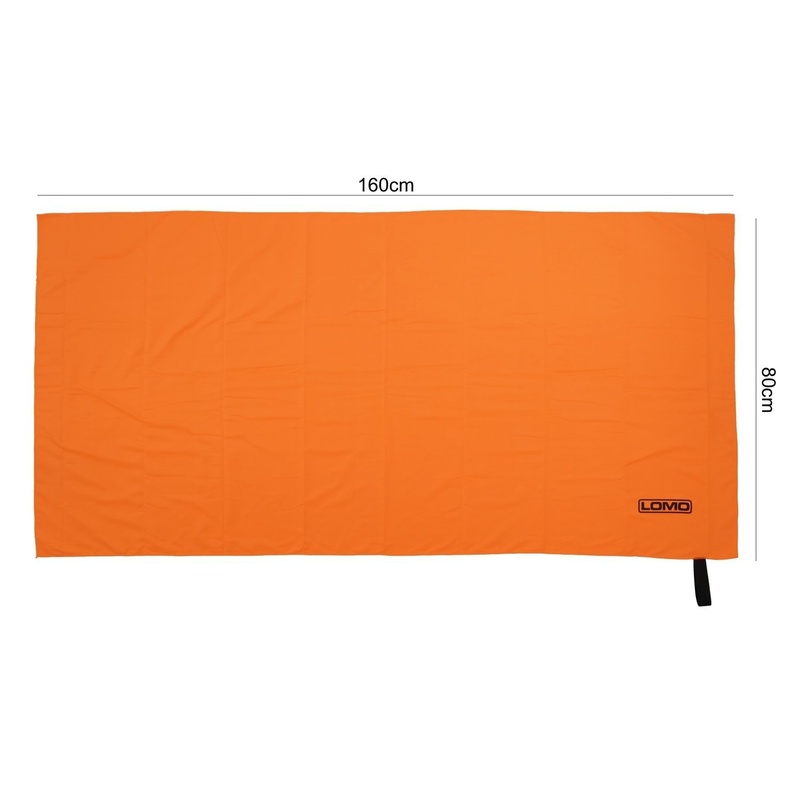 The orange colour of this towel means that you can use it in an emergency situation to help make you more visible to rescue teams etc. You can even use it as a flag to attract attention. 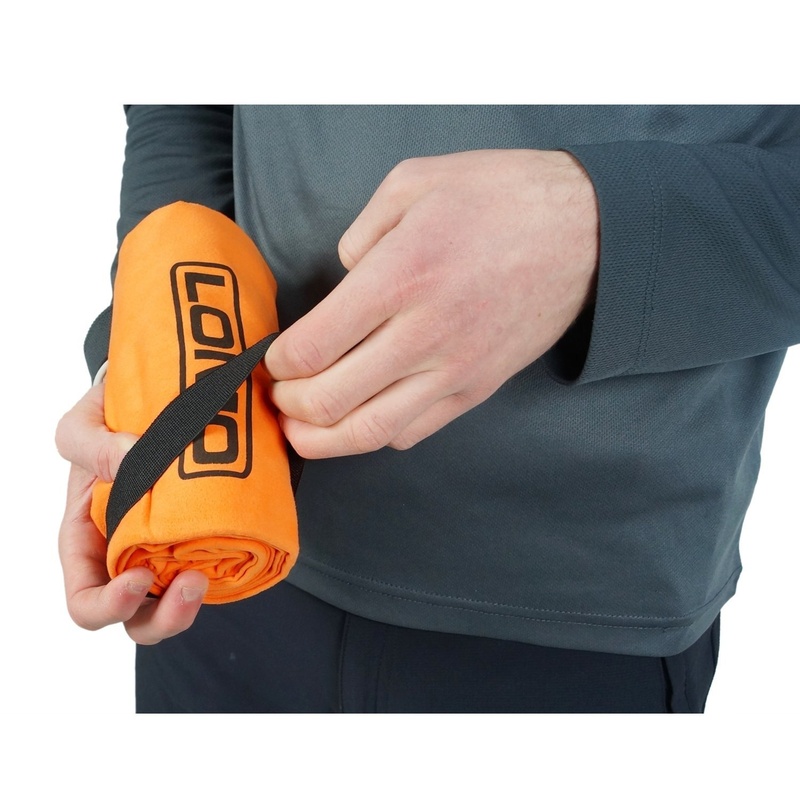 The microfibre towel comes complete in a quick drying ventilated drawstring bag and has an elastic tidy strap attached to the towel itself. 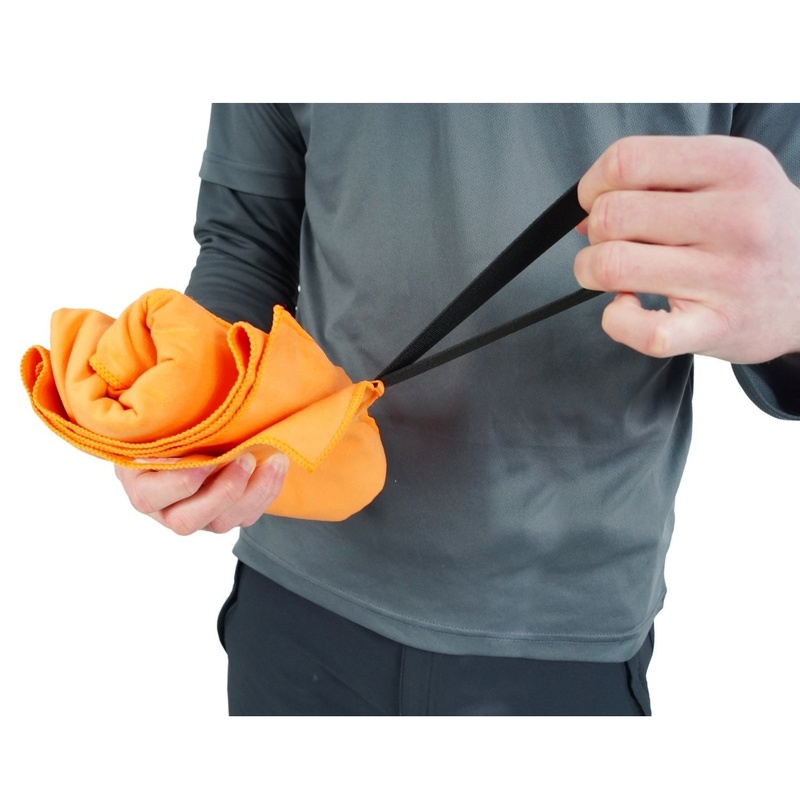 This allows you to either hang the towel up or to keep it rolled up if you don't want to take the bag along. 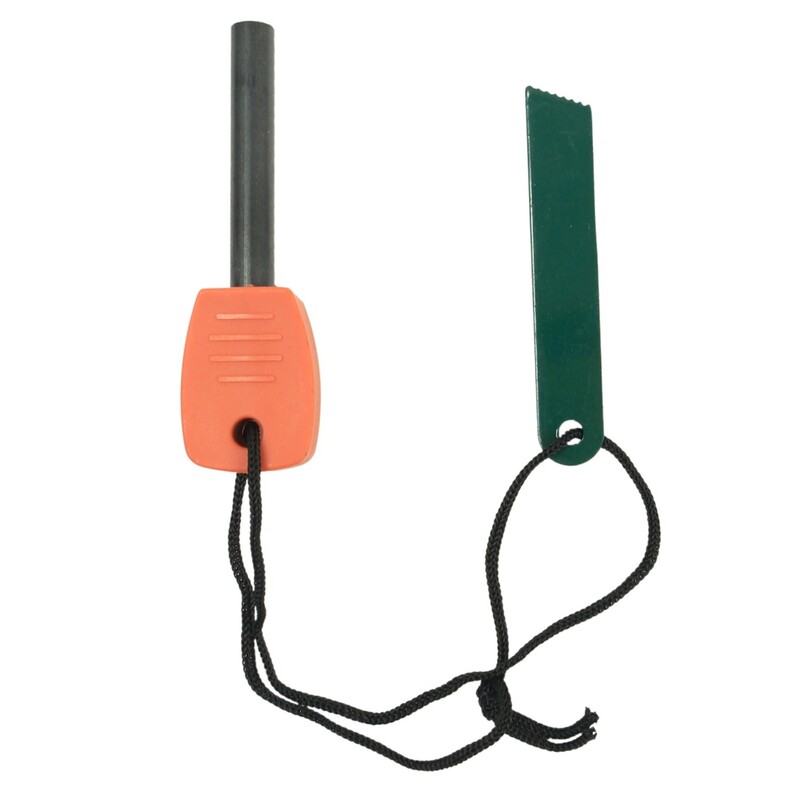 The nature of the material also allows you to easily wring the towel out after use. 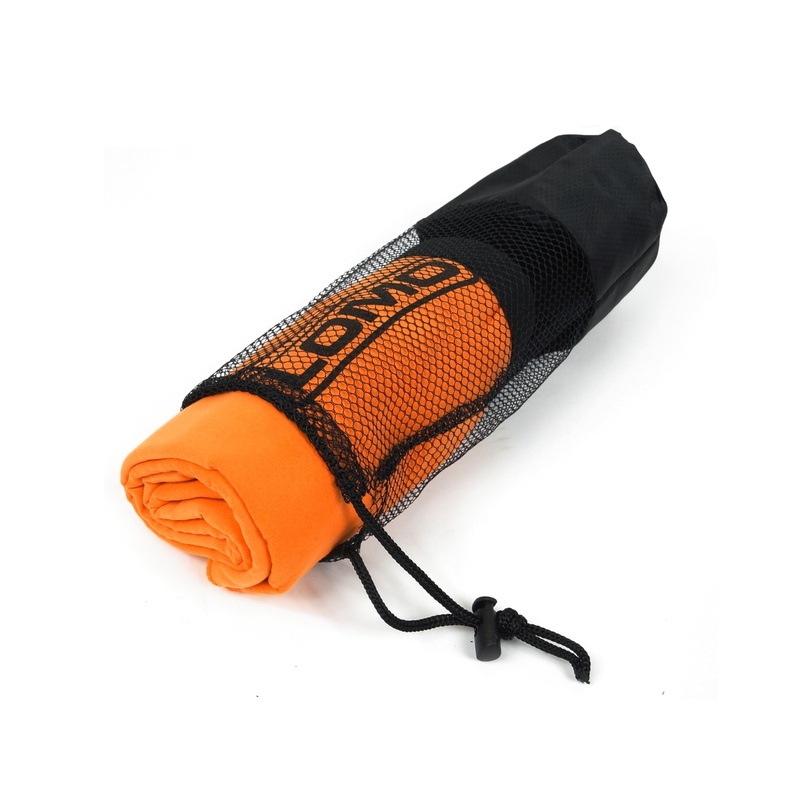 This shortens the drying time considerably and allows you to pack the towel away more quickly than a conventional towel. 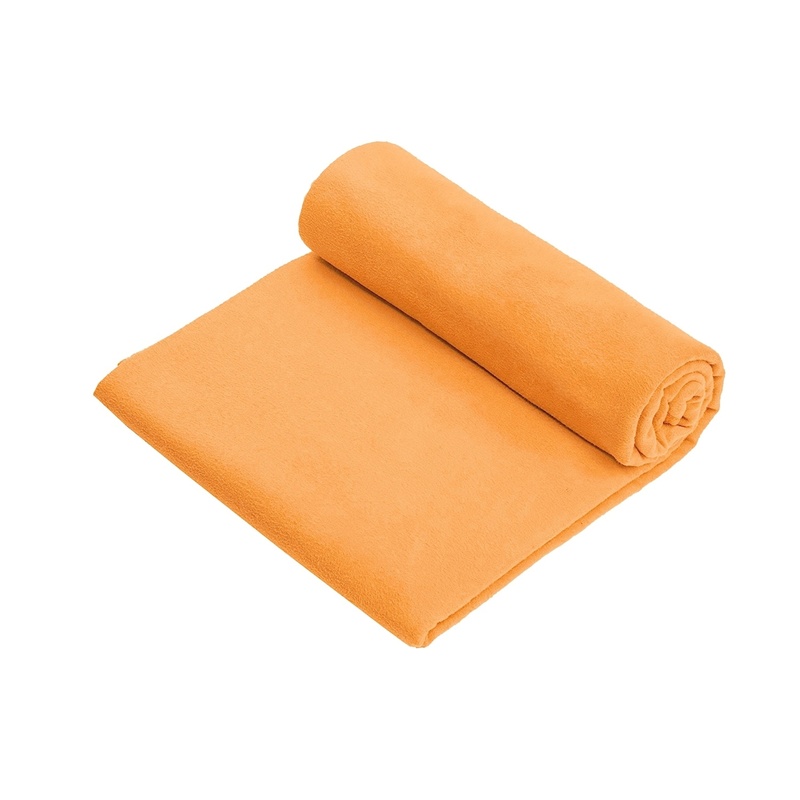 Not all microfibre towels are the same and some are much more bulky , or made from less suitable material than our 80%polyeser 20%polyamide construction. 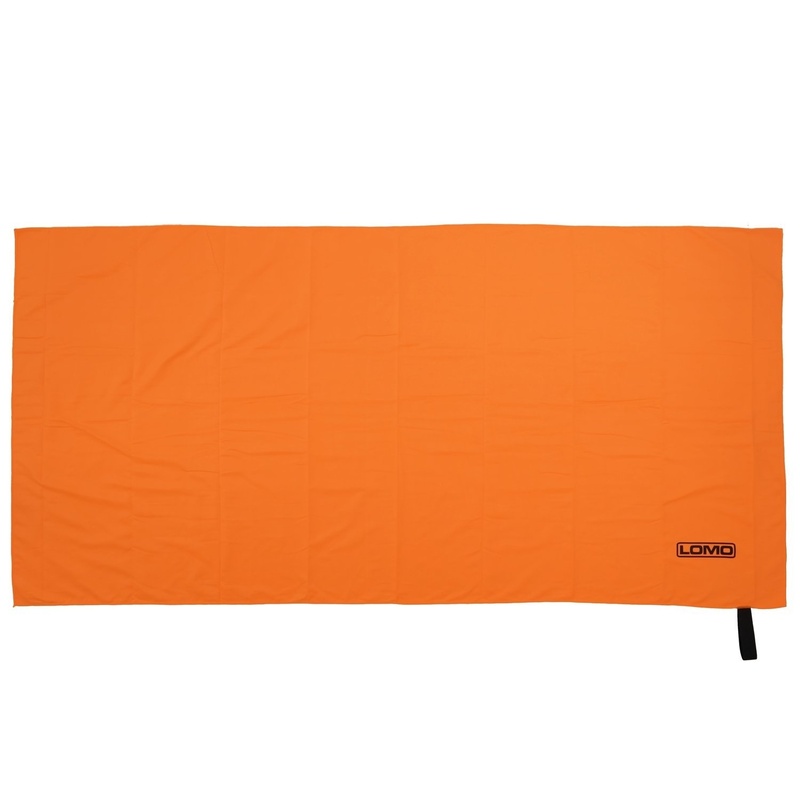 This is a high quality microfibre towel where you get a premium product at a budget price.